Visiting Kamakura is a favorite day trip or weekend excursion for foreigners, who visit Tokyo on business or for sightseeing. They said they had visited Kamakura by themselves, but that it would have been more enjoyable had they known more about Kamakura. Unfortunately, there are few guidebooks for Kamakura written in English, let alone by Japanese writers from Japanese viewpoint. 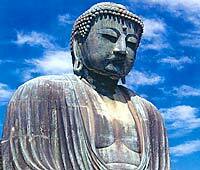 This fact encouraged us to introduce Kamakura in English for international visitors. We produced this site by cooperation of Mr. Tadahiro Kondo who lives in Yokohama. His website is here.